Fan Art Collage #1 | The Captain Sun Adventures! The first fan art pieces are beginning to trickle in. Go toitscaptainsun.com/fan-art to learn more about how you or your kids can be involved! 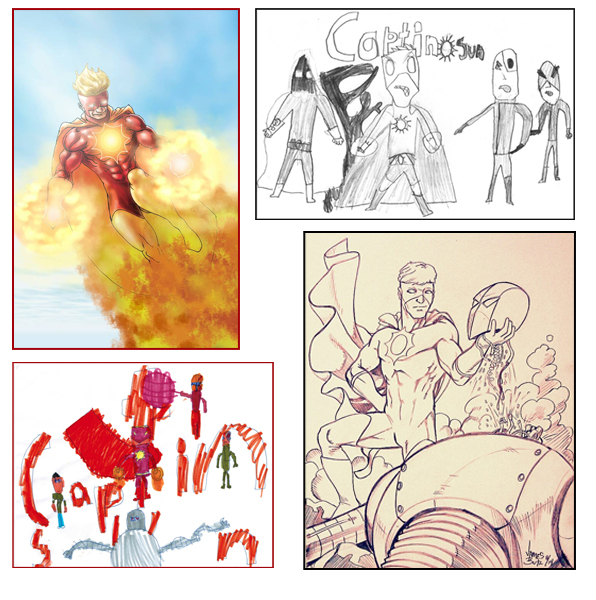 Check out these drawings on Captain Sun’s Facebook page (click here). ← Advance Copies of New Book!